Tennis Genie is a tennis tipster providing selections for the ATP, WTA and Challenger tours. They provide an average of one tip per day and staking is between 1 and 10 points per tip. We have yet to pass a tennis tipster or betting system here at Honest Betting Reviews, so have we finally found a winner with Tennis Genie? Well we are pleased to say – yes, we have. With a strong profit of 60 points achieved during our three month trial, Tennis Genie is the first tennis service to pass a live trial here on the site and receive a PASSED rating. It’s a nice, simple service to follow with just one selection per day on average and a good strike rate of over 40%, so a high proportion of winners. As you can see, a nice steady rate of profit over the trial, with some small ups and downs along the way. So with the new tennis season just about to get under way, it’s a good time to find a winning tennis tipster. We are happy to give Tennis Genie a recommended rating and now could be a good time to sign up. Ease of use: With just one tip per day on average provided by e-mail and plenty of time to get the bets on, it’s one of the easier services to follow we’ve come across. Availability of prices: The prices do tend to reduce by the time the matches start, so best to get the bets on as soon as possible after receiving the tips and to use the exchanges to find the best price, which are often better than the bookies. Strike rate: The strike rate for the trial was over 40%, so losing streaks shouldn’t be too bad here and a there is decent ratio of winners. Advised Betting Bank: No betting bank was advised, but we used a 100 point bank, which should be sufficient to cover most eventualities, although staking is quite variable at between 1 and 10 points, so a slightly bigger bank could be used just to be on the safe side. Subscription costs: The subscription costs are £59.99 per month or £499.99 per year. It’s great to finally have a tennis service to recommend, after numerous misses from previous ones we have trialed here on the site. Tennis Genie achieved an excellent total of 60 points profit over our trial, at a return on investment of 19%, which is very good for tennis. 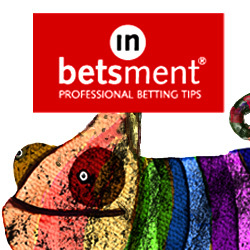 With a decent strike rate of over 40%, you should see a steady stream of winners when following the tips. So if you are looking for some tennis tips to kick off the new season in 2017, you could do a lot worse than giving Tennis Genie a go. Highly recommended. A small decline for Tennis Genie since our last update, with 5 points lost since our last update. That means they are now 54 points up for the trial overall. With the tennis season having more or less finished for the year now, there may not be too many more selections but we will keep the review going for a little while longer to keep track of any more tips that come through. So far so good for Tennis Genie though. Things continue to go well for Tennis Genie, who have an additional 17 points profit since our last update. That means they are now 59 points up for the trial overall. Results were helped with a maximum 10 point win bet on Cilic to beat Djokovic in Paris, which netted 36 points of profit. Hopefully things will continue in the same vein for them over the rest of the trial. The positive form continues for Tennis Genie, who have added a further 7 points profit since our last update a few weeks ago. That means they are now 42 points up for the trial overall so far. Good stuff so far then and it’s easy to follow with just one or two tips per day on average. It’s been a good start to our trial of Tennis Genie, who are 35 points up so far after two weeks of tipping. Staking is quite variable, with stakes from 1 to 6 points depending on the confidence in the pick. So far the big picks have done well for them. We have yet to find a winning tennis tipster so this is a promising beginning for the Tennis Genie and let’s hope for more of the same over the course of the trial. We are yet to find a winning tennis betting system or tipster here at Honest Betting Reviews, which is quite surprising really. Tennis is supposed to be the easiest sport to profit from and has excellent value in terms of the over-round from the bookies. Plus there is always great liquidity on Betfair for tennis matches. But to date sadly there hasn’t been anything we’ve found that consistently makes profit from betting on tennis. So it is with cautious optimism that we approach our next tennis tipster, Tennis Genie. The results on the website look very impressive, with apparently over 1500 points profit made since the service was set up in 2012. That has been achieved with a strike rate of close to 60% and a return on investment of over 36%. That figure is incredibly high for tennis and for something with such a strong strike rate of 60%. If that could be maintained during our trial and beyond, we may have found something special here and finally a winning tennis tipster. However, only time will tell of course. So we will get our three month trial of Tennis Genie underway and will report back soon on how things are going. In the meantime you can check out Tennis Genie here.